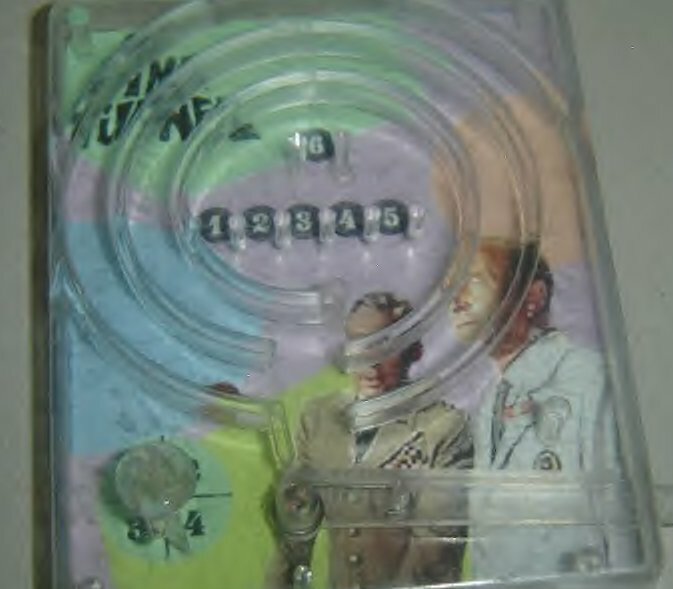 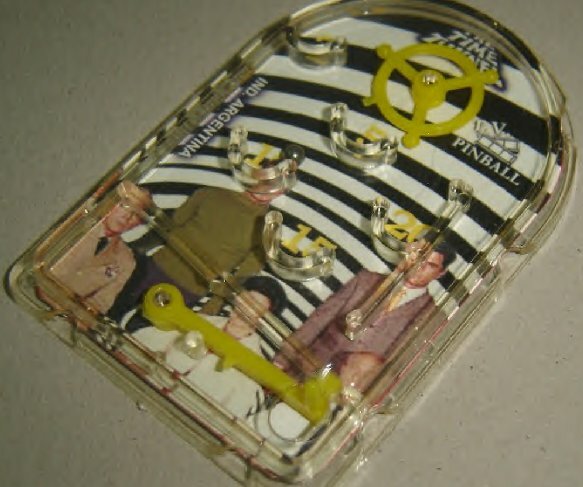 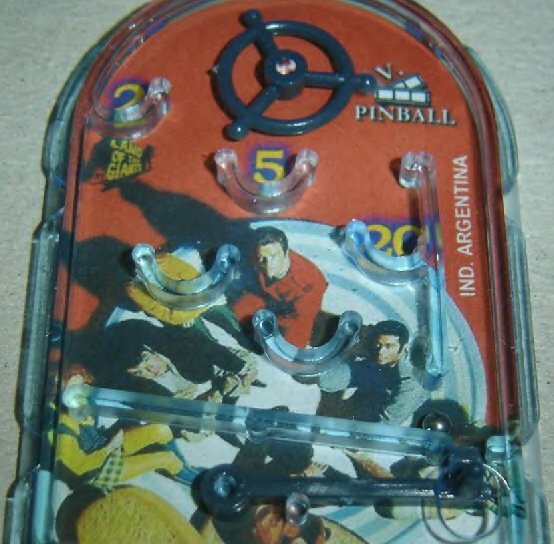 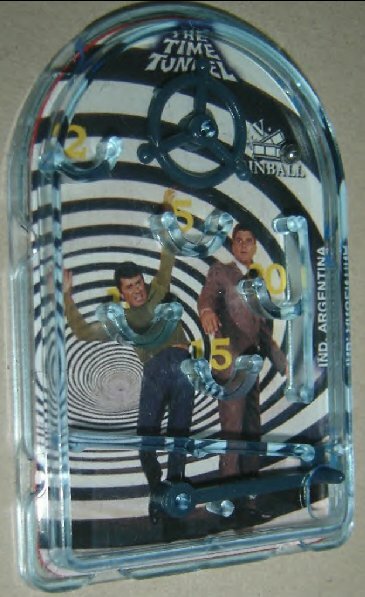 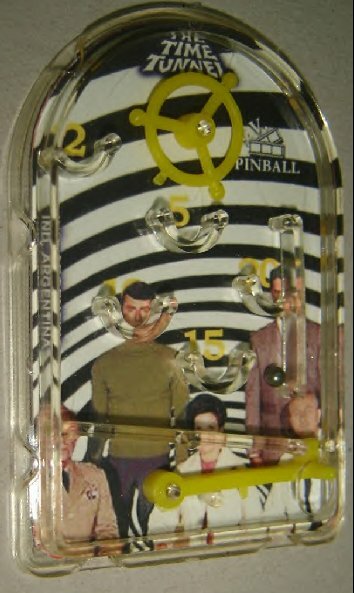 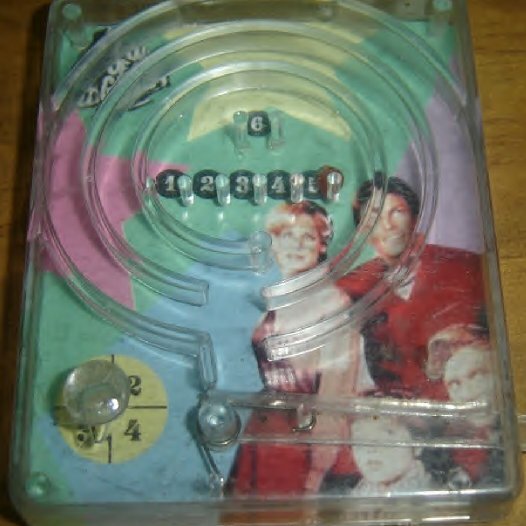 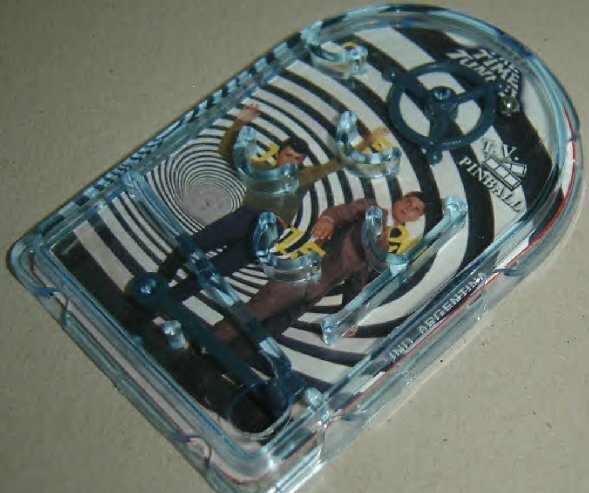 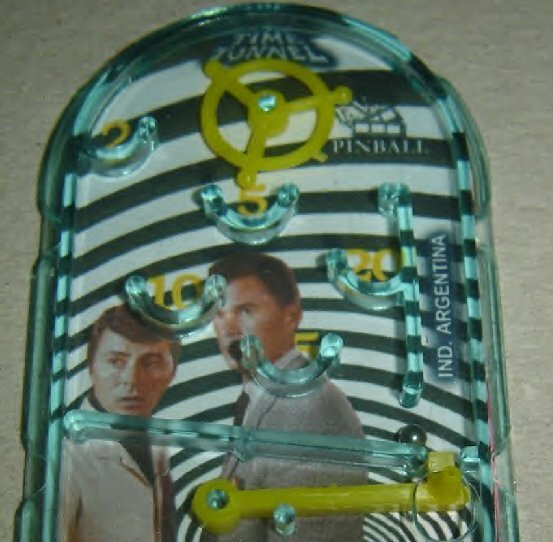 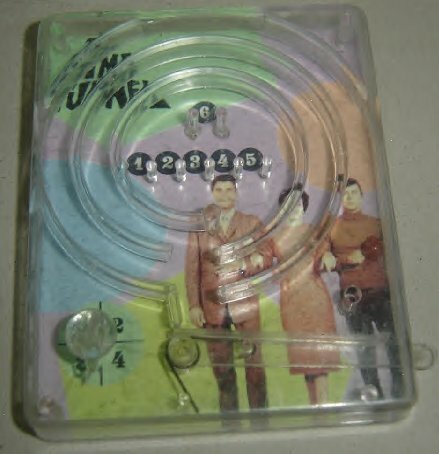 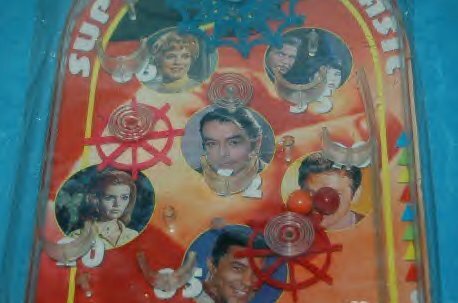 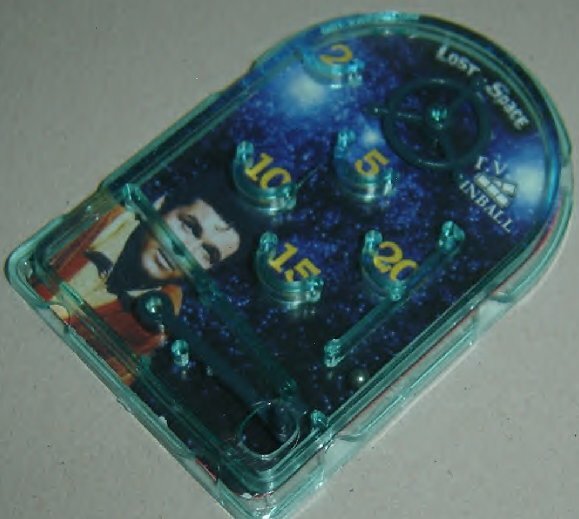 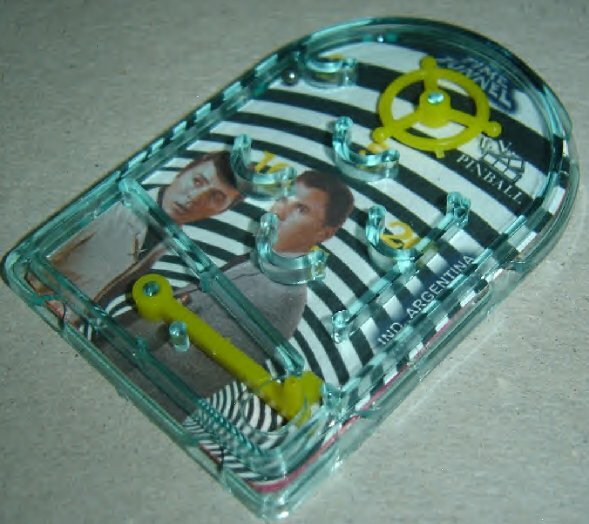 A series of different Irwin Allen pinball games from Argentina. 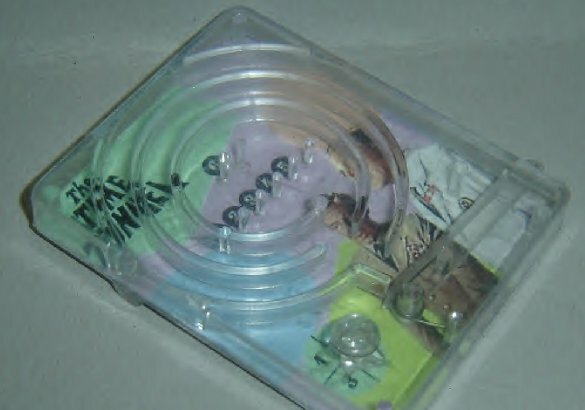 Very scare items, even in there own country! 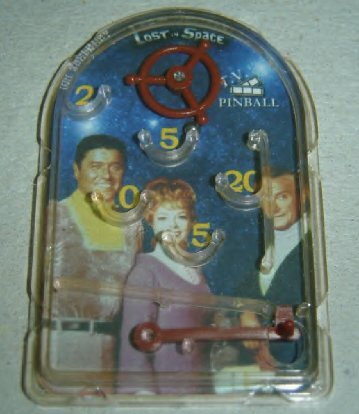 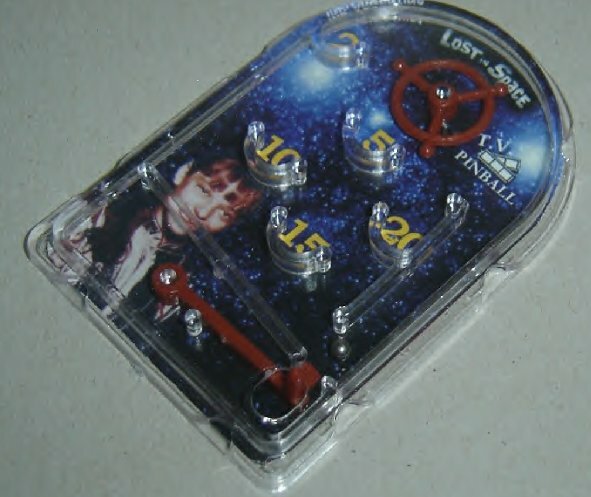 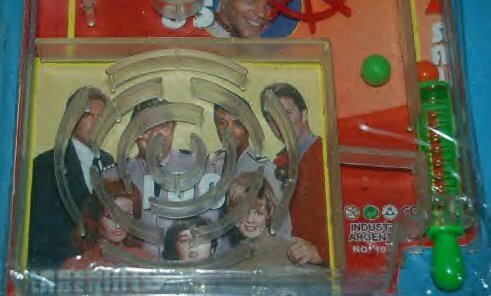 Shown here are The Time Tunnel, Lost in Space, & Land of the Giants. 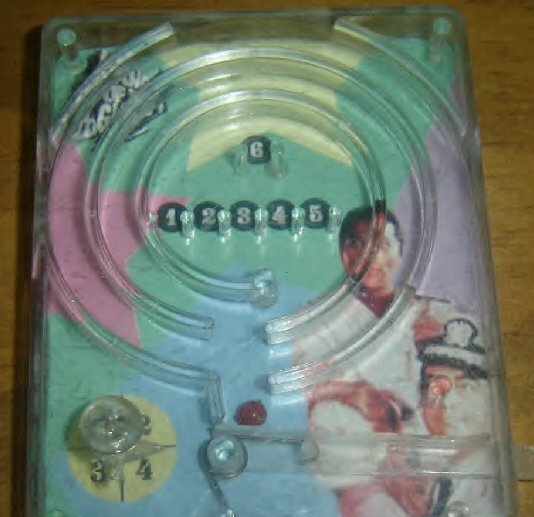 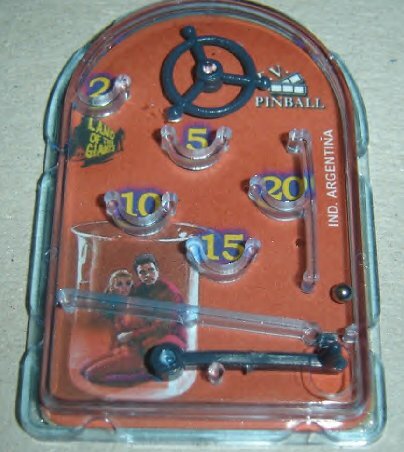 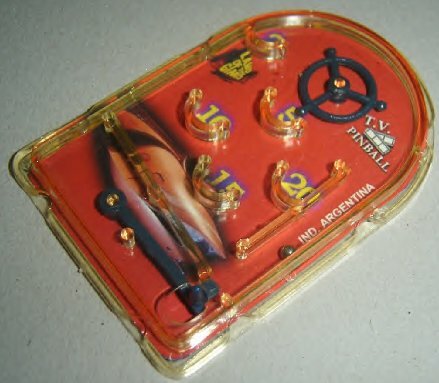 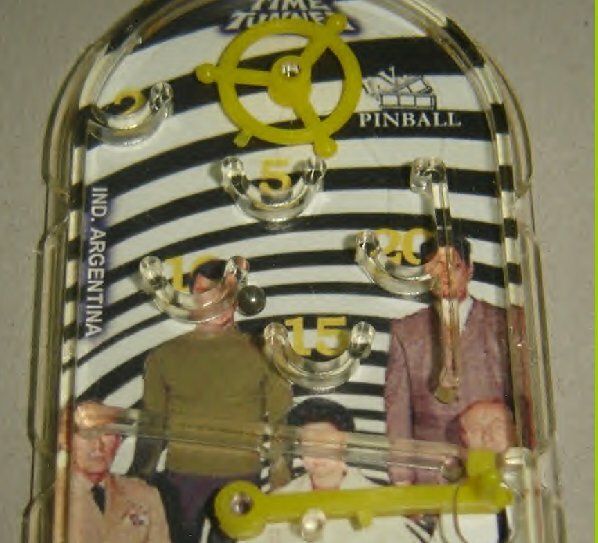 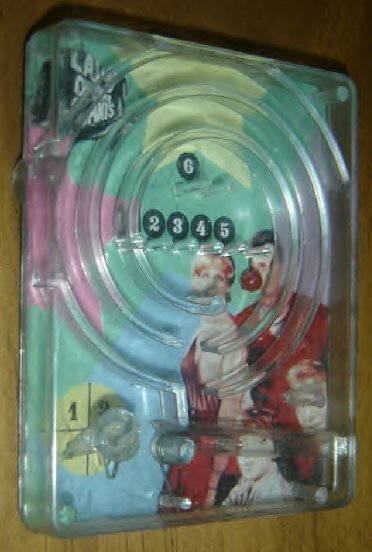 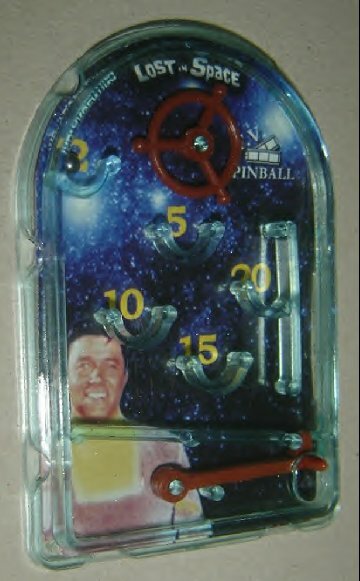 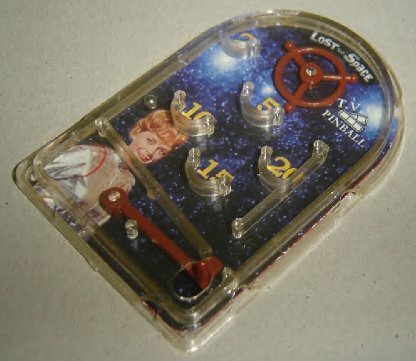 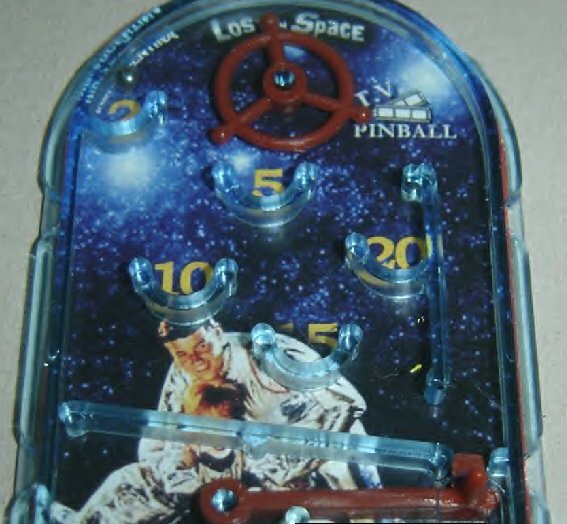 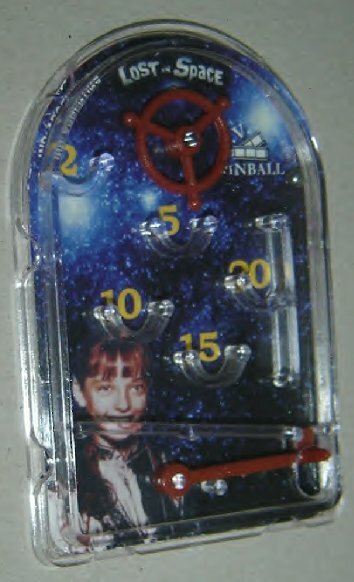 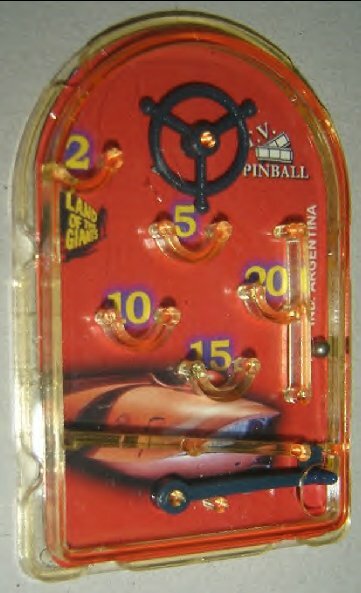 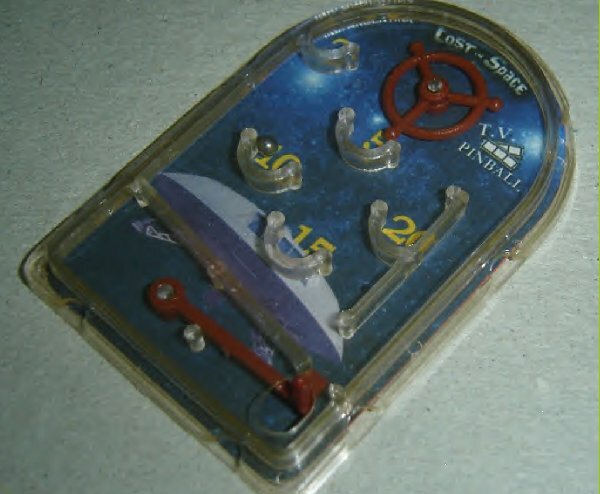 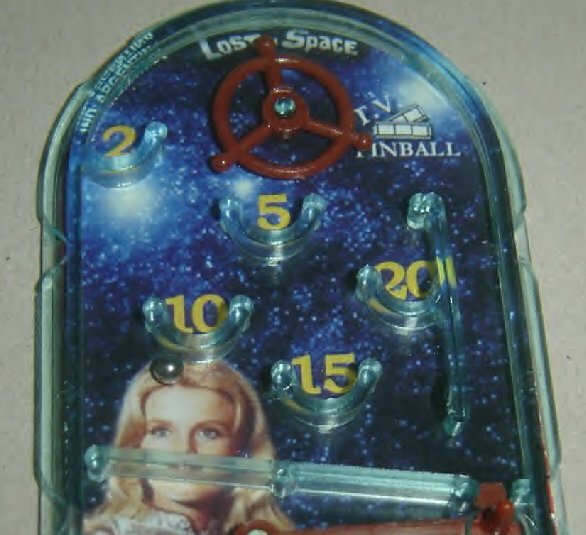 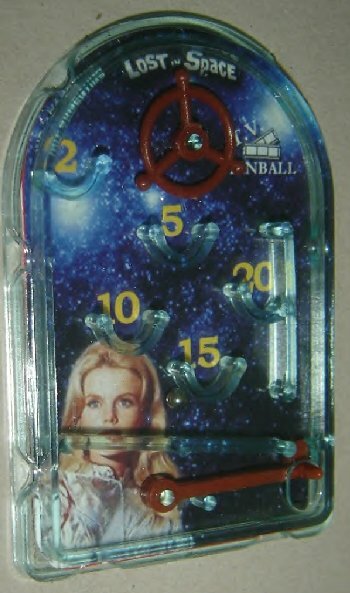 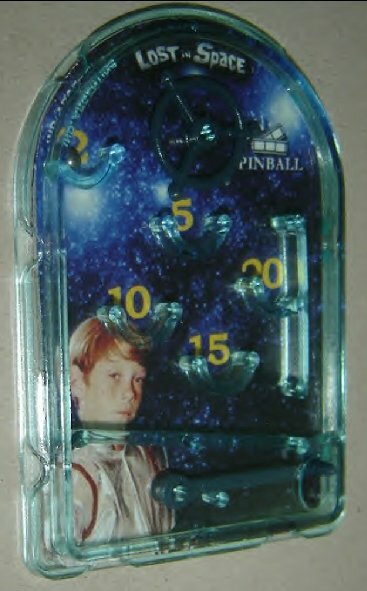 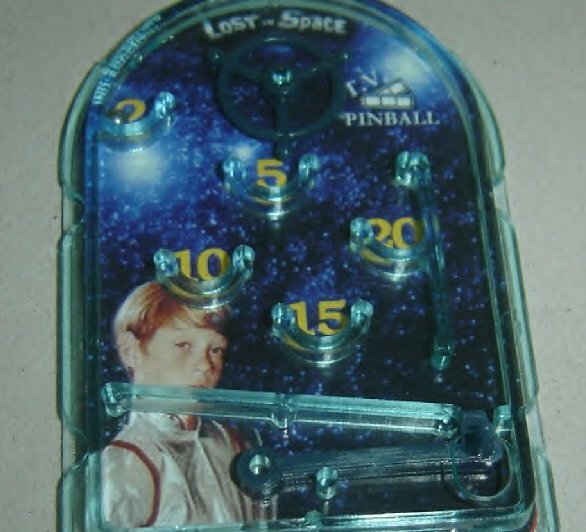 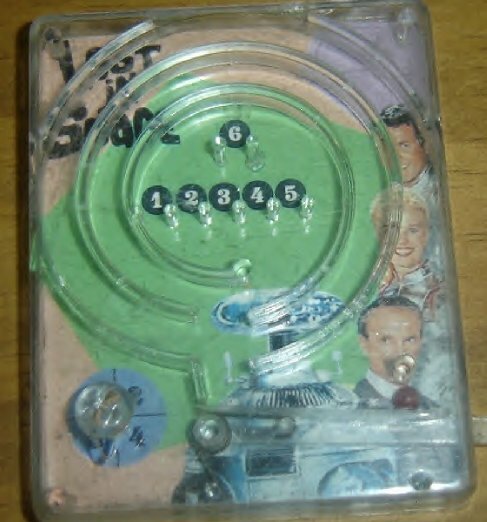 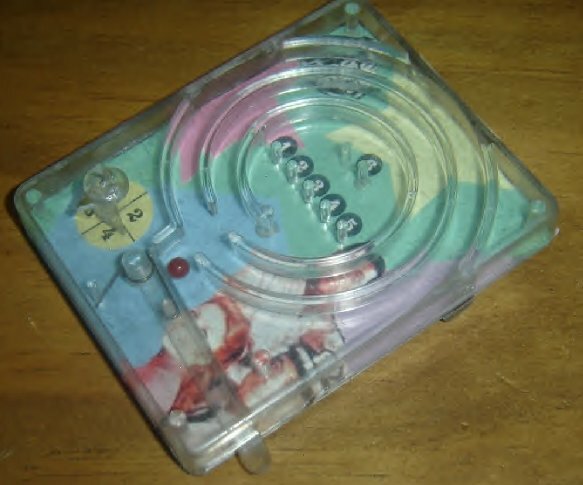 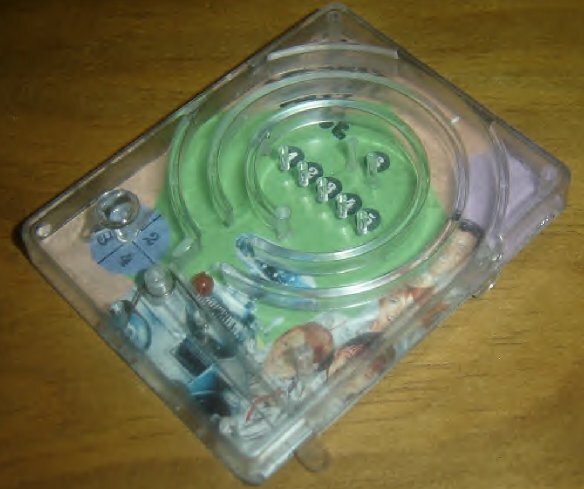 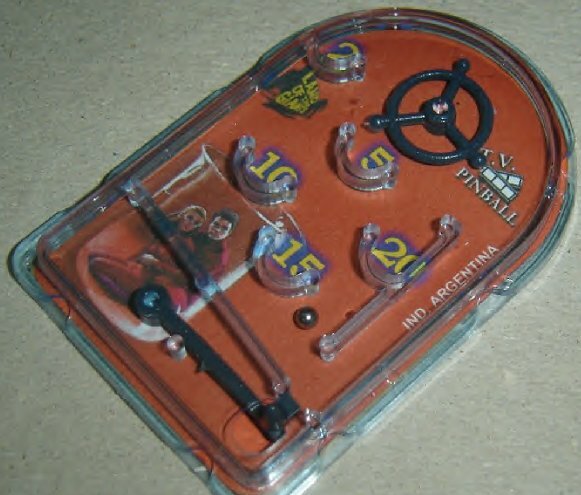 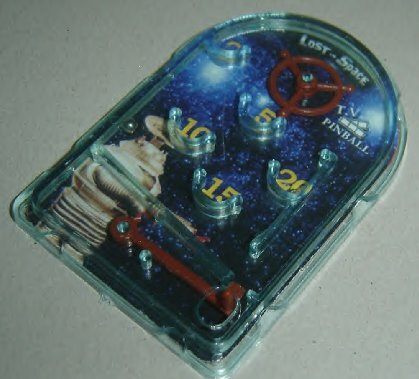 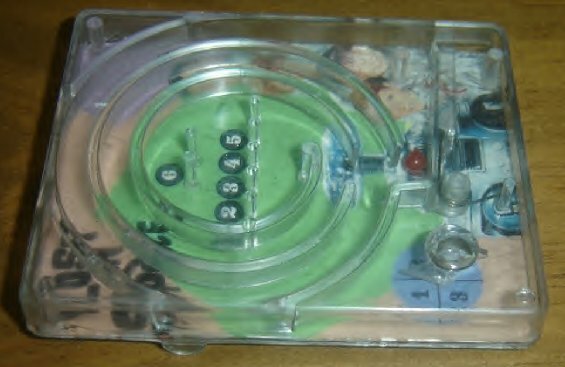 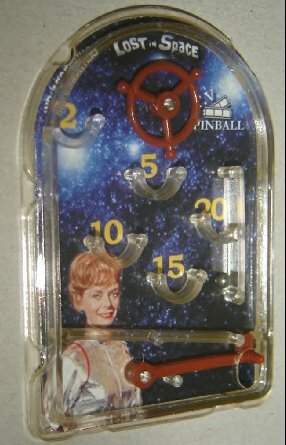 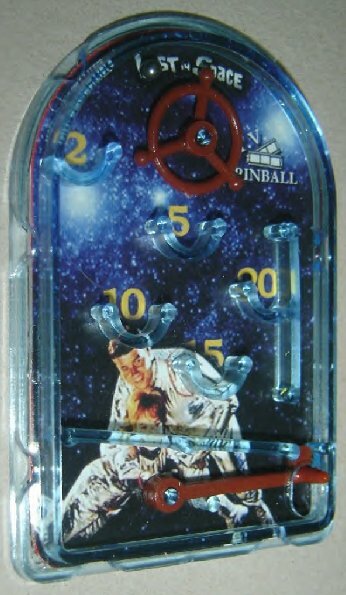 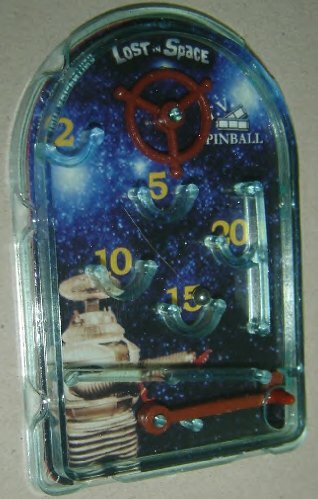 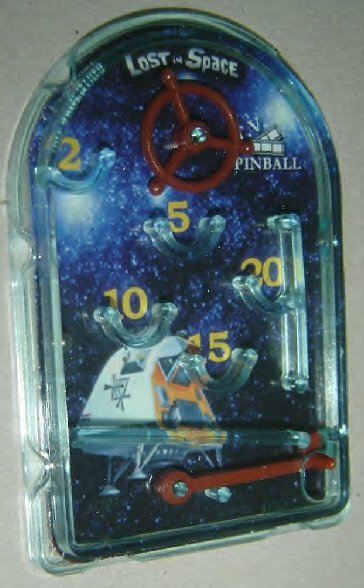 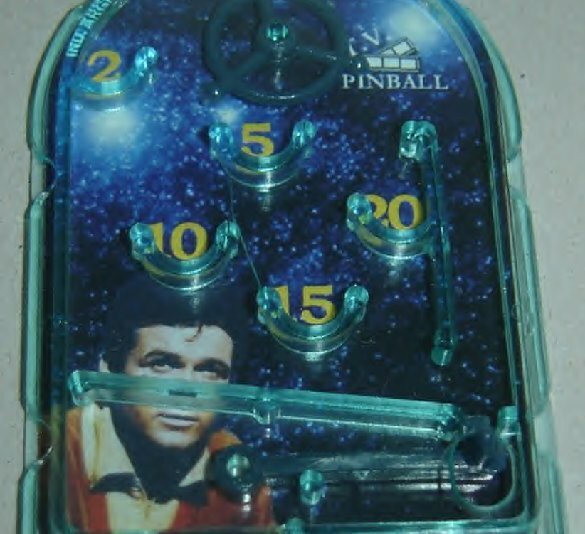 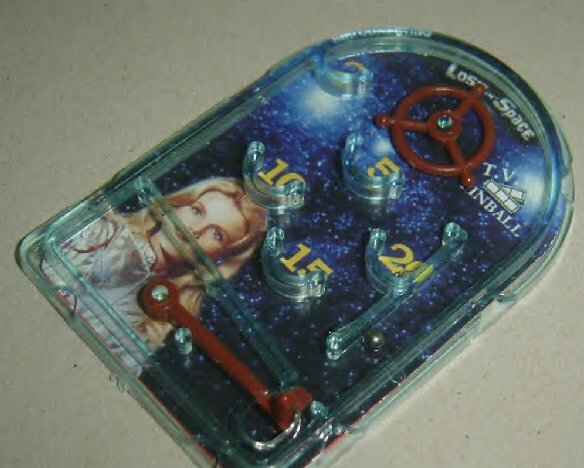 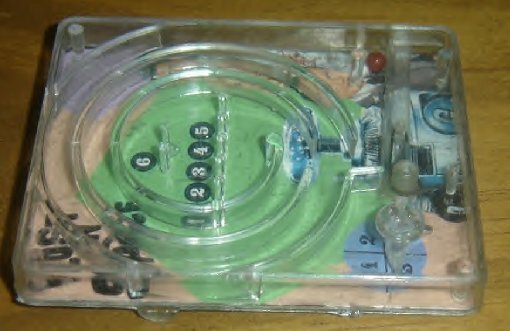 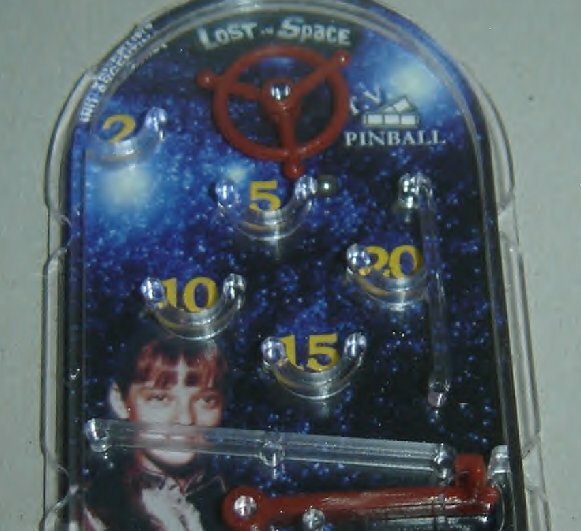 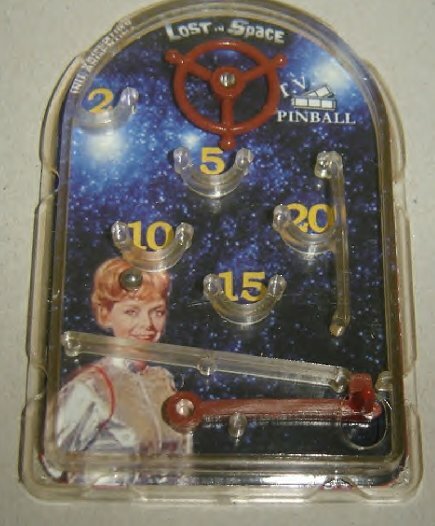 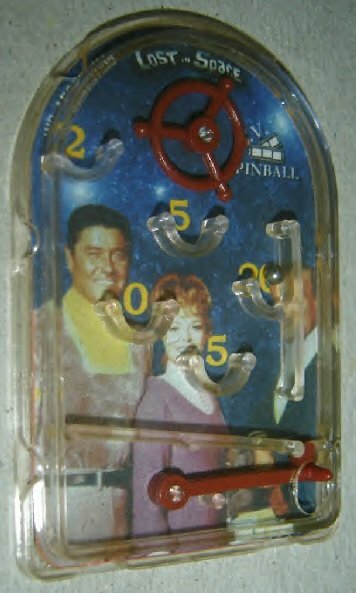 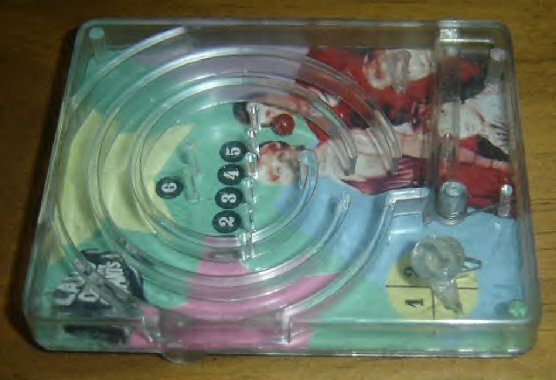 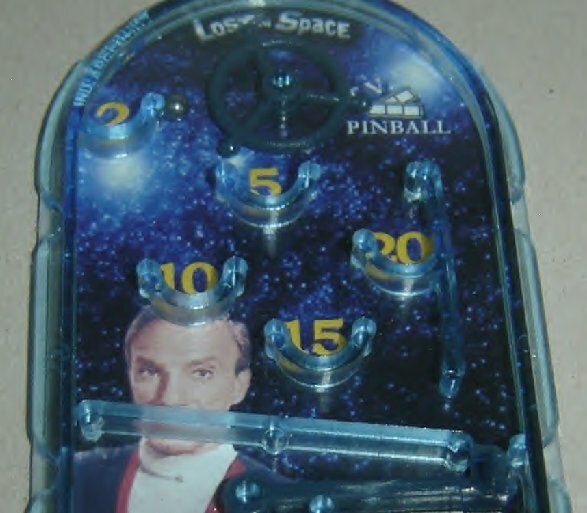 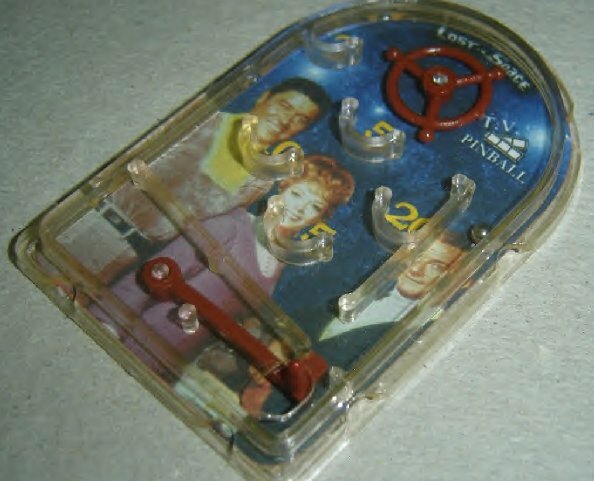 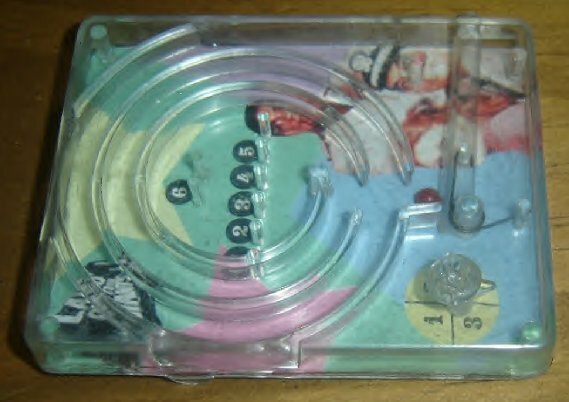 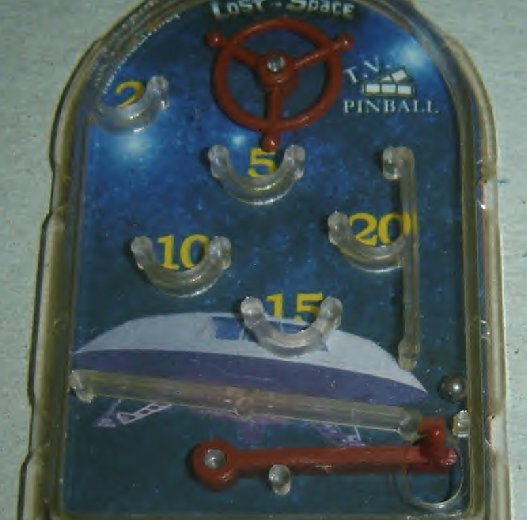 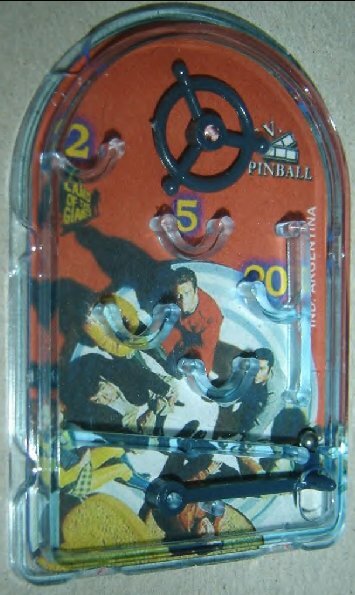 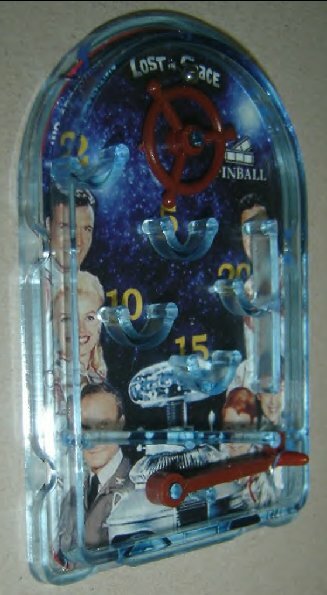 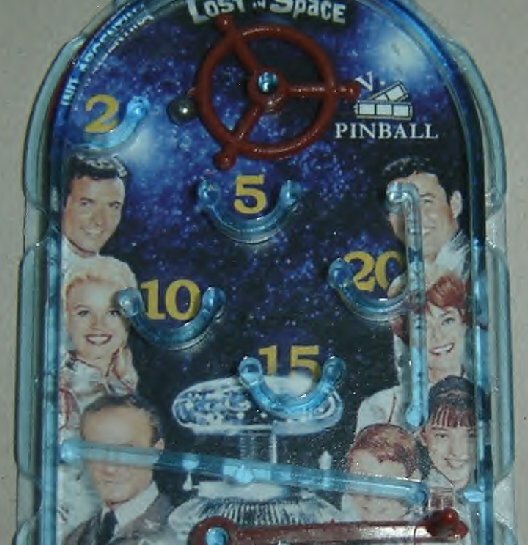 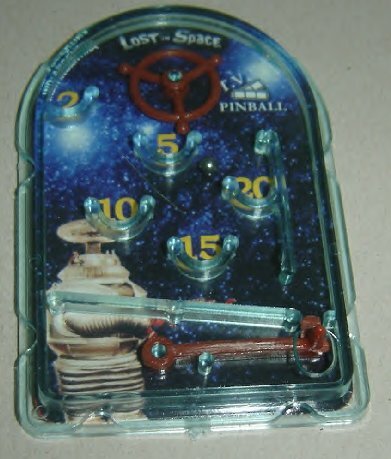 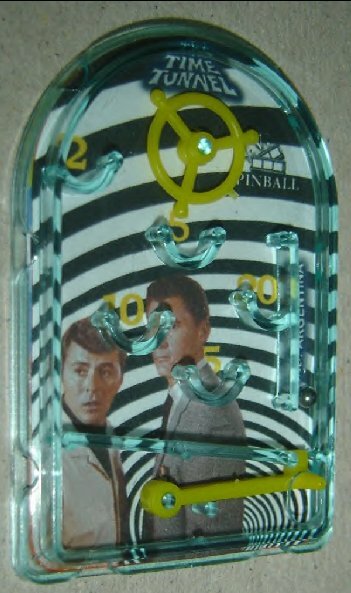 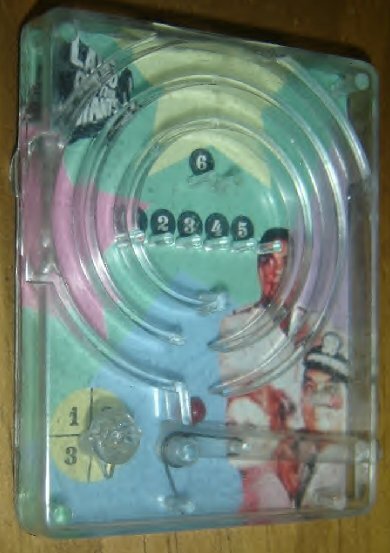 Plastic pinball game with "shot-up" lever with mini ball. 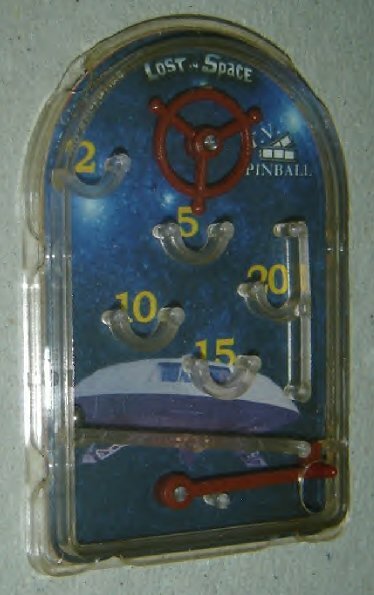 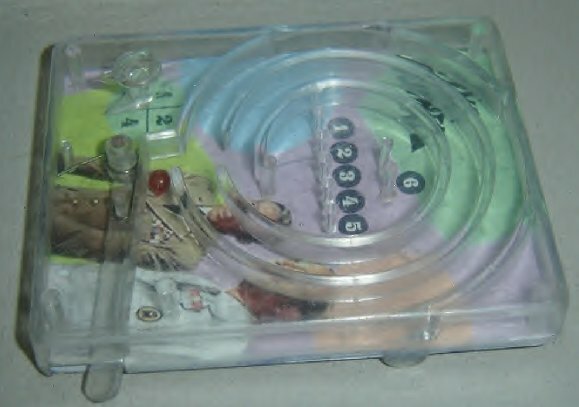 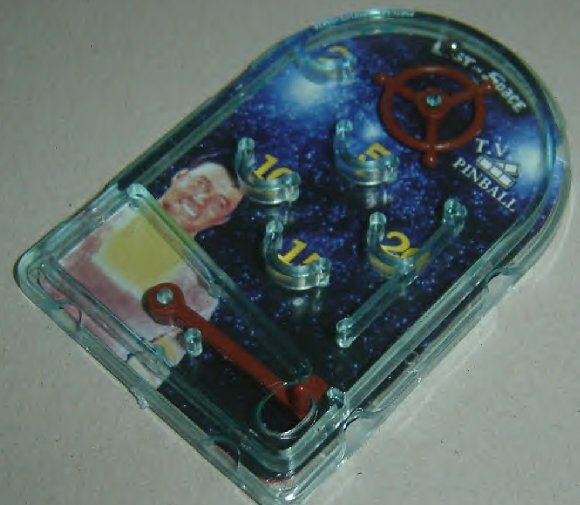 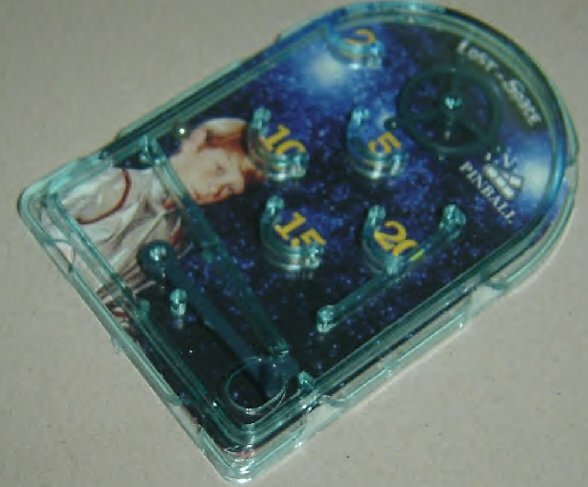 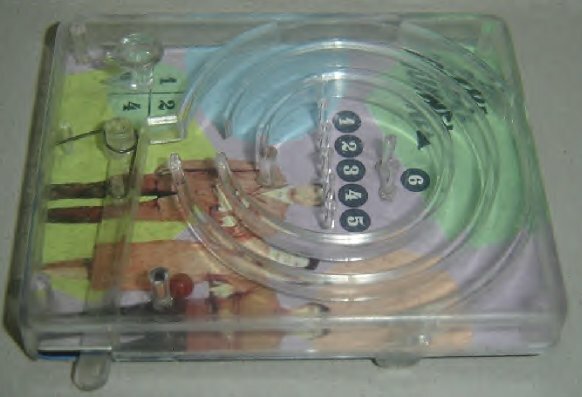 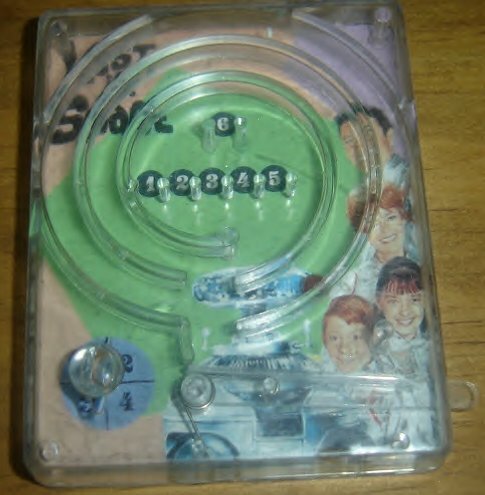 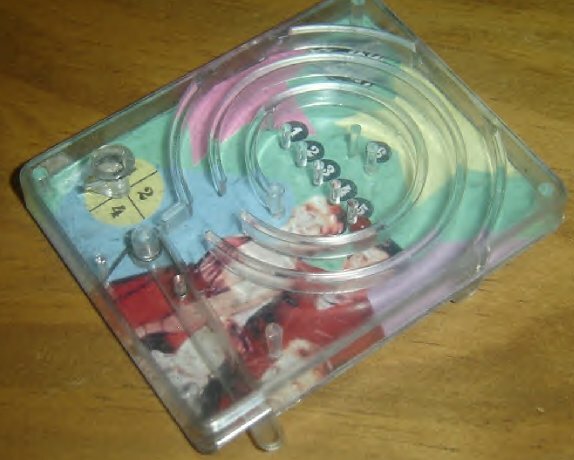 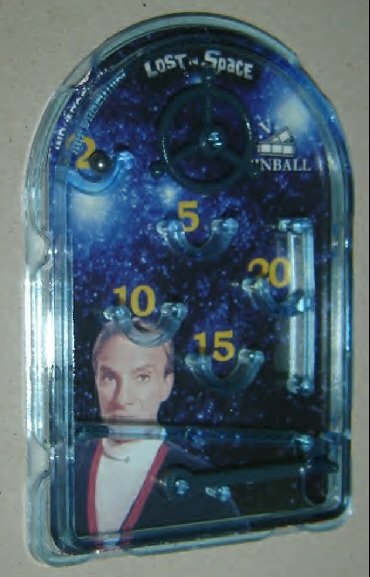 Object of the game is to snap the ball up into the different number holders to receive points. 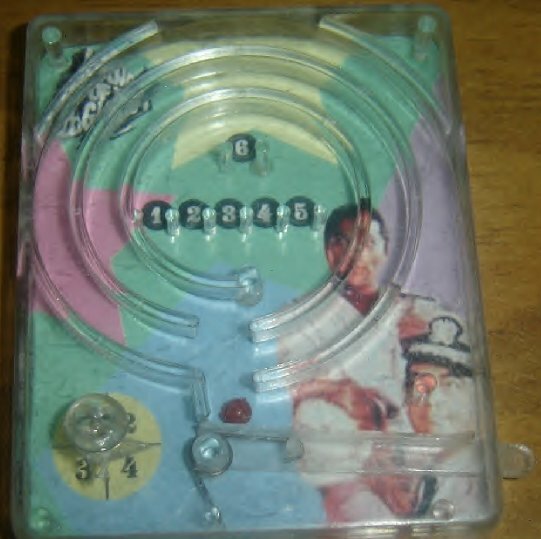 The player receiving the most points after a series of rounds wins the game. 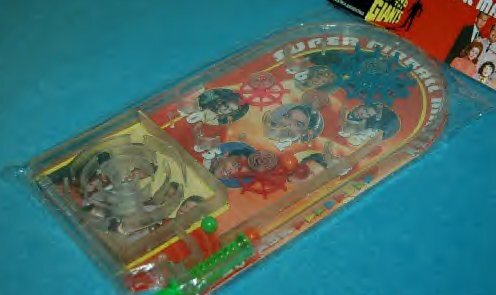 Great graphics on these games. 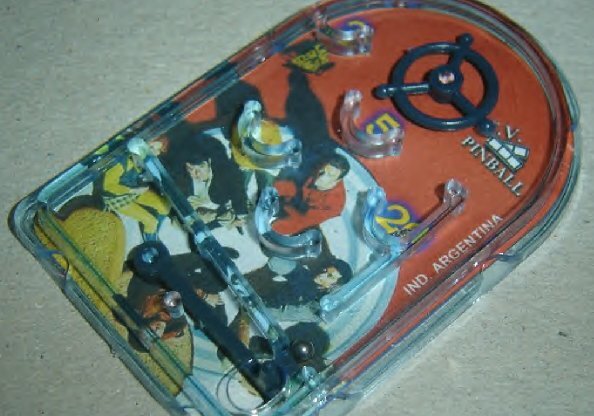 These games have never been seen outside of Argentina, until now! 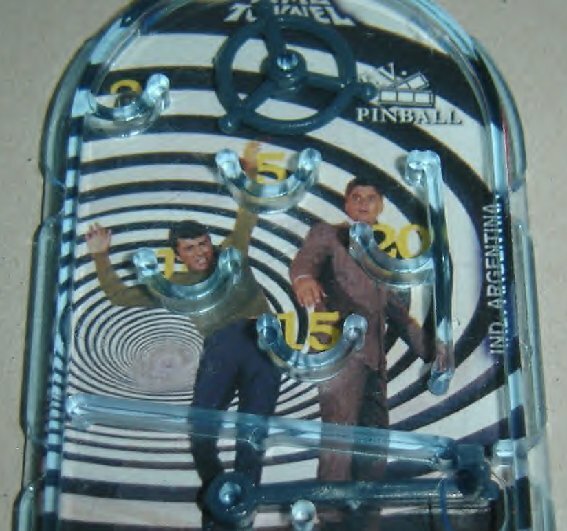 These are NOT a vintage item from the 1960's. 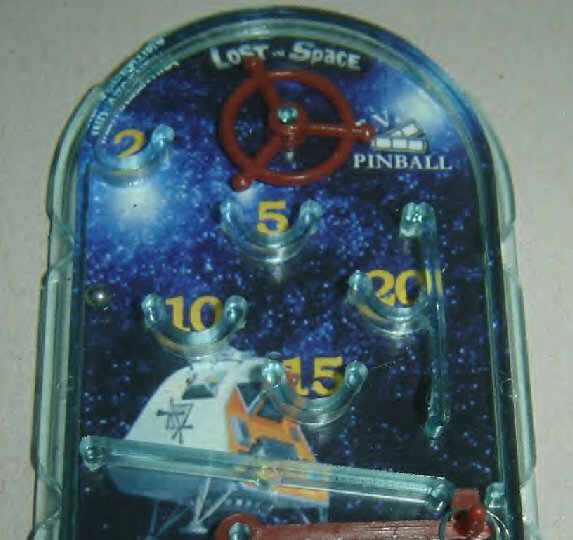 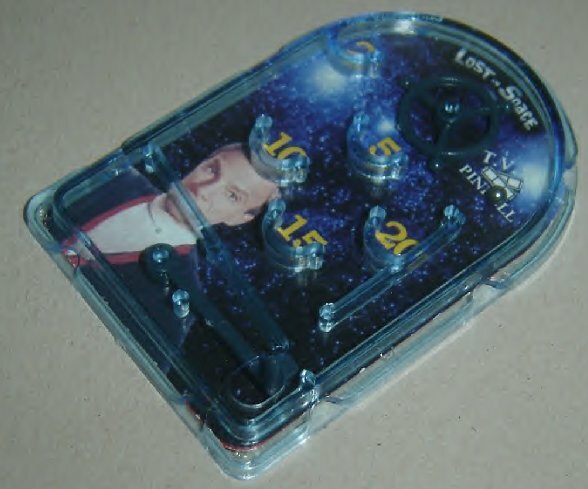 I've been told these were issed in the 1970's! 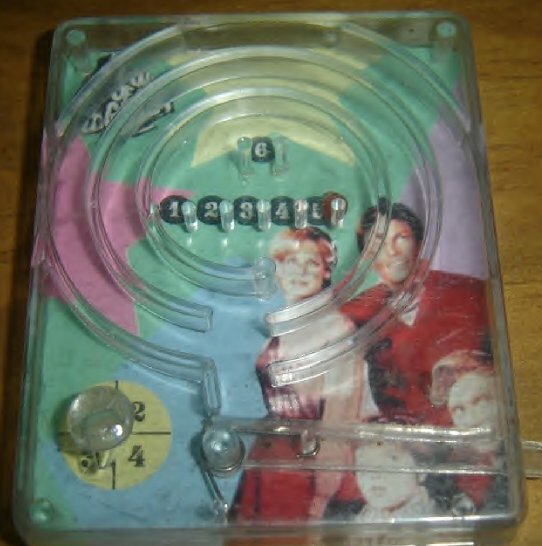 Great collectible items never the less!